The four phases I describe below should not be confused with the four separate occasions that the ITU Council 2013 discussed the Council Working Group on international Internet-related public policy issues (CWG-Internet) in its plenary sessions. Instead, the phases are an attempt to help readers better understand how the discussion changed focus over the two weeks of ITU Council 2013. It was clear from the initial Member States comments about the four proposals to open the CWG-Internet that it wasn’t going to be easy to find middle ground between the “open CWG-Internet” versus “keep CWG-Internet as is” positions. After the first round of comments, the Chair of ITU Council 2013, Catalin Marinescu, from Romania, initially proposed an ad hoc group to examine ways forward that would be acceptable to the Council. 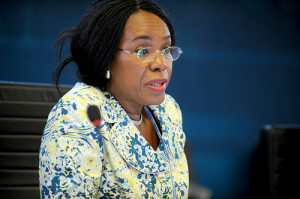 However, a Council member stated that, in Council, all Member States needed to participate in the discussions. 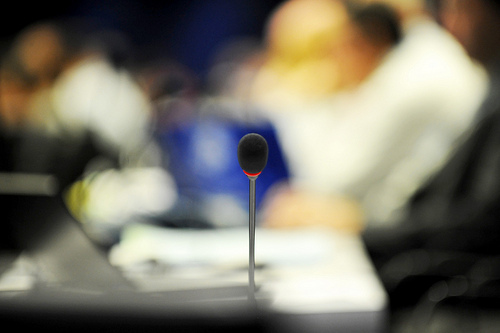 An ad hoc group was fine when used for drafting documents at ITU meetings, but was an inappropriate to use within the context of a Council session. The Chair’s second suggested compromise was to invite the ITU Secretary-General to convene a balanced informal group of experts open to all stakeholders (IEG-Internet). This IEG-Internet would be composed of experts invited by the Secretary-General from ITU sector members and non-ITU member entities with Internet governance expertise and experience based on the roles and responsibilities they may possess according to paragraph 35 of the Tunis Agenda. Under this second compromise suggested by the Chair, the Secretary-General would work to improve the participation of developing country stakeholders in the meetings of IEG-Internet. 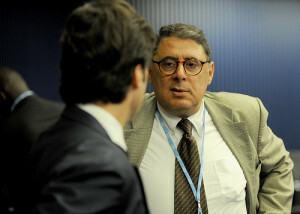 The IGF-Internet would meet on the day before the CWG-Internet’s own meeting, with the Secretary-General summarizing the IEG-Internet’s expert opinions in his own submission to the CWG. To enable ITU to get the best expert opinions on issues under discussion at the CWG-Internet, the IEG-Internet would need to have access to CWG documents. The compromise was designed to sidestep the problem of reaching a decision in the Council by reframing multistakeholder participation in the CWG-Internet’s work as an administrative support function of the Secretary-General. As such, there was no need for the Council to publish a decision or resolution on the issue at all. You might think that at this point, given the Council didn’t need to make a decision on the issue at all, that the discussion would come to an end. But you would be wrong. The Council was currently only halfway through the discussion at this point. One Member State was concerned about the relationship between the IEG-Internet and CWG-Internet. Another was concerned about the financial ramifications of holding IEG-Internet meetings. A Member State who supported the Chair’s compromise suggested that having the IEG before PP-14 would be a good way for PP-14 participants to be better informed about how Plenipotentiary Resolution 102 (Rev. Guadalajara, 2010) could be updated to include the participation of other stakeholders. Another Member State was concerned about the legal implications of having an IEG-Internet meeting the day before CWG-Internet. 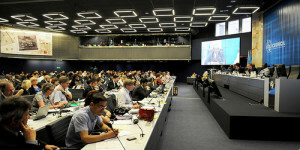 ITU Council 2012 Resolution 1344 states that public consultations must end one month before CWG. A meeting the day before CWG would contradict that resolution. The Chair had made his compromise proposal verbally, which had confused some of the Member States (English is not everyone’s first language and simultaneous interpretation doesn’t always allow the finer nuances of a proposal to be communicated). He therefore offered to produce a draft explaining the proposal in more detail. However, one Member State objected to this. The Member State believed that as the action of the Secretary-General didn’t need the approval of the Council members, it would be inappropriate for the Chair of the Council to document what he thought the Secretary-General should do. Instead, recording the discussion in the minutes would suffice. The same Member State also insisted that it was up to the Secretary-General to decide how to energize the public consultation—which the same Member State noted had not received much public input to date—and not up to the Chair to suggest to the Secretary-General that an IEG be created. It will be up to the Secretary-General to decide how he will encourage stakeholder participation in the CWG-Internet open consultations. However, the deadline for current open consultations is now less than a month away: 1 August 2013. There is the possibility that the Secretary-General could perhaps do more than send letters to non-government stakeholders for the CWG-Internet’s meeting early next year. Perhaps there could be a proto-IEG-Internet meeting in the fourth quarter this year. The issue, however, would be in ensuring that developing country stakeholders could be equally represented at such a meeting without affecting ITU’s already tight budget. Depending on how successful the open consultation process is in the lead-up to the next two CWG-Internet meetings, there may be the possibility to allay many of the fears of Member States who currently oppose any form of opening up the CWG, no matter how minimal. But the future modalities of the CWG-Internet is not the only issue that we should think about here. We should also think about how we can all address some of the very real concerns some governments have about the multistakeholder Internet governance model.